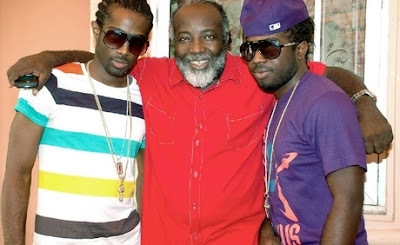 ALL MY SONS: The reggae icon with Chino (left) and Stephen. This is Freddie McGregor's 50th year in the biz, so what better way to recognize such a remarkable milestone than by celebrating it with fans -- while making the whole thing a true Big Ship family affair? Freddie and his well-known musician son Chino kicked off their joint Captain of the Ship Tour on July 11 in Raleigh, North Carolina, with plans to continue travelling north for a two-week stint along the American east coast, culminating in Nantucket, Massachusetts on July 26. McGregor's latest disc, Di Captain (VP Records) debuted earlier in the year to much critical acclaim, topping reggae charts at home, as well as in South Florida and New York. 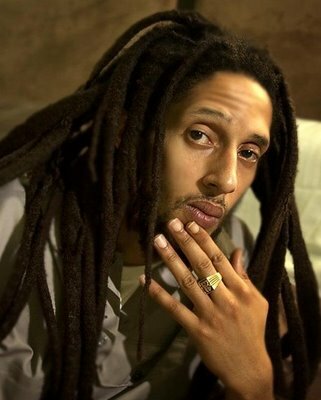 HE'S WITH THE BAND: Julian Marley has joined the legendary ska-punk band Sublime with Rome for a tour of the US East coast. The co-bill, which commenced on July 8 in Boston, has been drawing mega-sized crowds to witness the stellar performances by Marley and his band, The Uprising. They'll remain on tour through July 21, when they'll perform in Fort Lauderdale. For more tour dates, go to julianmarley.com.